We provide a holistic approach to health. We believe in the empowerment of our patients by educating them on the benefit and necessity of corrective chiropractic care, and provide long-term spinal health. We are passionate about true health and wellness and want to be your preferred chiropractor in Durban. Dr David Palmer has always been interested in natural health. Watching his mother undergo chiropractic adjustments – and the amazing effects that followed – steered Dr Palmer into chiropractic care. After 6 years of study, he moved to the UK to add to his qualification and further extend his knowledge. 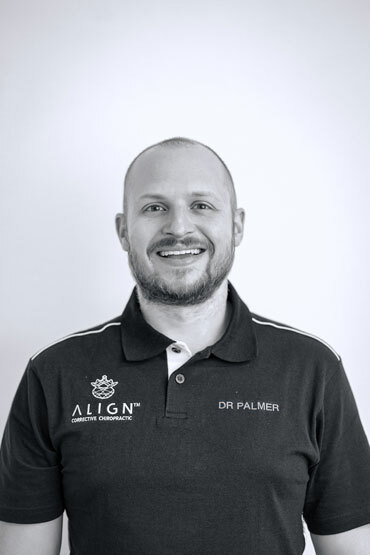 Dr Palmer passed the UK board exams and plunged into private practice, training and working closely with some highly-respected names in the industry. “I became very interested in posture correction and helping people to not only feel better, but attain and maintain good health, through safe natural chiropractic corrective and wellness care.” – Dr David Palmer. Dr Palmer is now busy in his Durban chiropractic clinic, helping families and individuals to achieve true health. Leigh-Anne Palmer is Align Chiropractic’s Practice Manager. She is available to help you with any queries you may have and her door is always open. 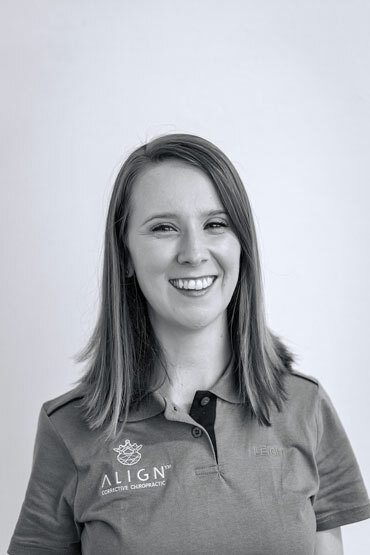 Leigh-Anne completed her BCom in 2007 and has worked in a number of medical practices. Her passion for efficiency and admin results in a great patient experience when you visit the practice. Leigh-Anne and Dr. David Palmer were recently married, and enjoy running and growing the practice together. We are eager to welcome new patients into our care to enjoy the holistic health benefits that corrective chiropractic can offer.